The new Black Diamond Fusion is out and I finally got to take them for a spin at Vail. Wow! What a great new tool from BD. I helped test the prototype tools in Switzerland two winters ago and was excited and impatient for this tool to finally make it to market. The Fusion is a hybrid from the Cobra and the older Fusion. With Laser or Titan picks, it climbs ice almost as well as the Cobra. Dry tooling with Fusion picks make sticking to the smallest rock edges no problem. 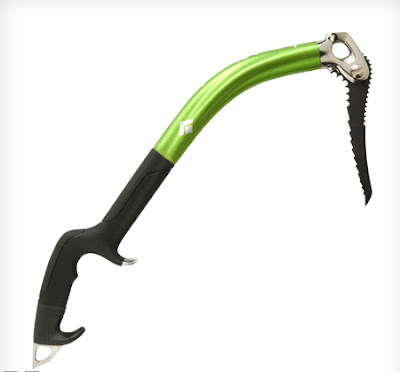 This would be a great tool for someone who only wants one tool and would like to climb ice and mixed terrain equally. 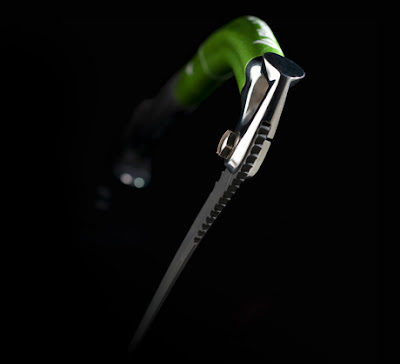 The Fusion comes with a built in hammer, a spike and adjustable handle to accommodate different hand sizes. For pure ice climbing I will still gravitate to the Cobra but when mixed climbing at Vail or if the climb I’m tying for has substantial hard mixed terrain the Fusion will be on my pack. I would say that BD has once again set the bar for ice and mixed tools and Fusion will likely lead the pack for some time. Does the new hand grip plunge reasonably? I want to pick up a new set of tools and I'm torn between the Fusion and the Cobra. I climb ice more than mixed, but was hoping the grip on the Fusion might help keep my forearms from flaming out. I still feel that if you climb ice more than mixed the Cobra is a much better tool and also plunges much better than the fusion. That being said the Fusion still plunges in most snow conditions except for neve. I personally like the grip better on the Cobra for all angles up to slightly overhanging. The Fusion grip works best for me in overhanging to extremely overhanging terrain. Hope that helps. If you have troubles sleeping you should consider getting help for panic disorder treatment with care and compassion.